Learn about the history of Fort Niagara over the past 200 years. 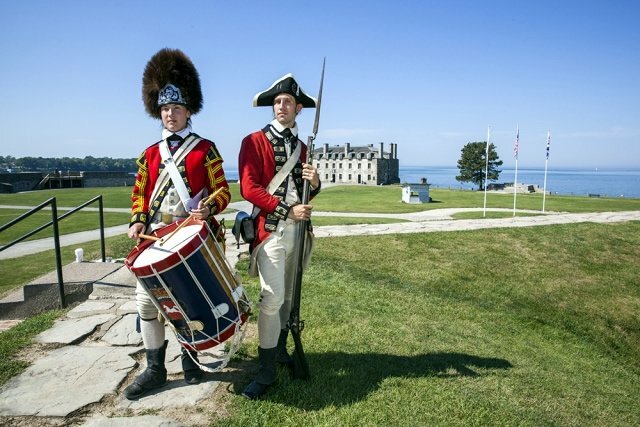 Old Fort Niagara offers you a chance to step back in time to an era when great empires struggled for control of North America. You’ll visit original 18th century buildings, enjoy incredible views and take part in exciting living history programs. The Fort’s Visitor Center offers you introductory exhibits filled with original artifacts and an award-winning 16-minute orientation film. Don’t miss the Fort’s original War of 1812 Flag. View the live Old Fort Niagara HD Live webcam! For the most up to date information please visit oldfortniagara.